Modern sophistication can be found in every detail of this stunning townhome. Best quality finishes and 11â€™ ceilings, custom designed and built out in 2016 by John Oetgen. Discriminating attention to detail and quality that has been featured twice in Veranda mag. Master suite features separate bathrooms & extremely large closets. Elevator & custom staircase connect all 4 floors. 5 parking spaces on secure lower level with additional unfinished space. 3 spacious outdoor terraces. 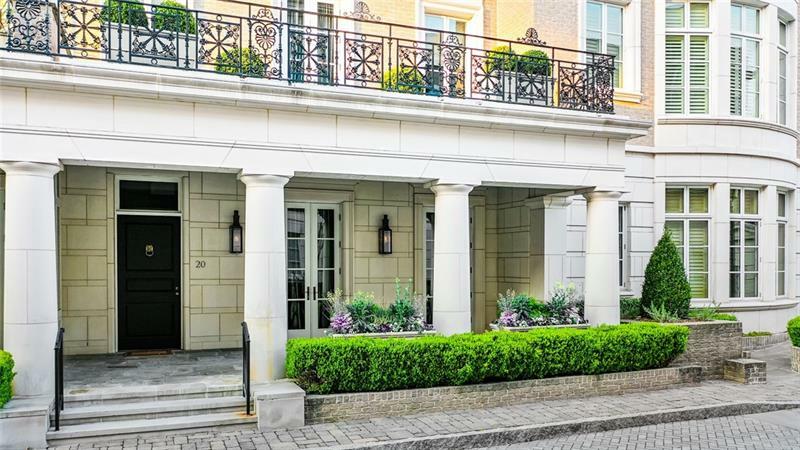 Located in the prestigious enclave of Regents Park with a private park and 24hr-guard. A representative from Metro Brokers has received your request to visit 2440 Peachtree Rd Nw on at .